A public bridge walk was held on the Abraham Lincoln Bridge on December 5, 2015. An estimated 50,000 attended the event during a cold Saturday morning. This view shows the north tower of the cable stayed bridge and the adjacent Kennedy Bridge. Photo taken by Tom Reaugh. The John F. Kennedy Memorial Bridge parallels the Abraham Lincoln Bridge to the west. Construction on the cantilever span started in April 1961 and the bridge was dedicated on December 6, 1963, when it opened for northbound traffic. 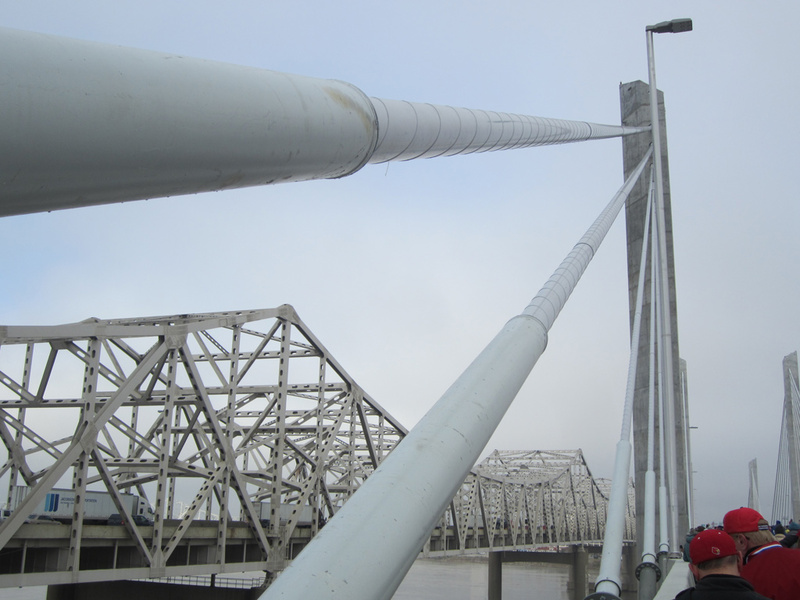 Southbound traffic began flowing on the span a few weeks later.2 Photo taken during the Abraham Lincoln Bridge walk by Tom Reaugh on December 5, 2015. Kentucky 1747 reassurance marker posted along Fern Valley Road eastbound after Interstate 65 (Exit 127) and Holliday Towers Boulevard. Holliday Towers Boulevard south and Signature Drive north come together to serve a variety of businesses and apartments nearby. Photo taken 11/04/09. Entering the parclo interchange with Interstate 65 along Kentucky 1747 (Fern Valley Road) westbound. Interstate 65 leads north to Downtown Louisville and south to Elizabethtown, Bowling Green and Nashville, Tennessee. Photo taken 11/04/09. The control tower of Louisville International Airport (SDF) comes into view from Kentucky 1747 west at Interstate 65 north. Kentucky 1747 serves cargo facilities on the south side of the airport. The passenger terminal requires a drive north along I-65 to Interstate 264 west. Photo taken 11/04/09. 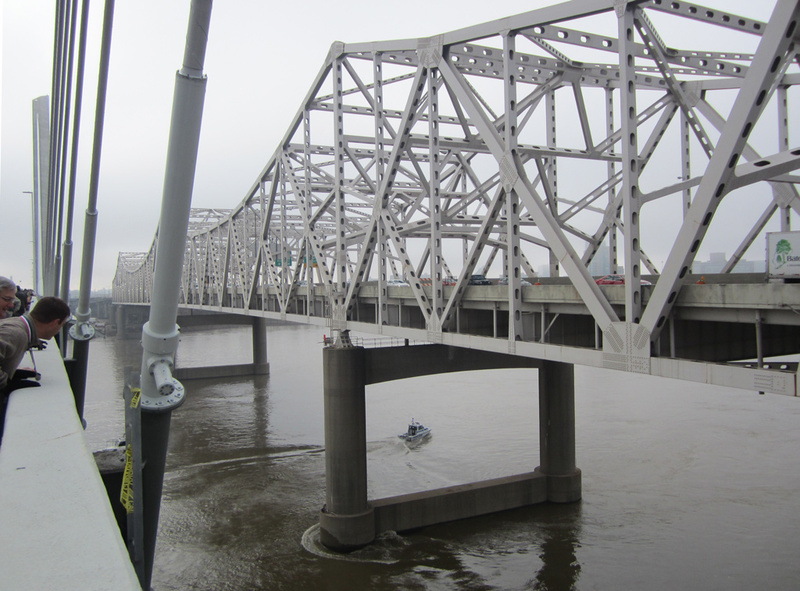 I-65 SOUTH TRAFFIC SHIFTS TO LINCOLN BRIDGE. http://kyinbridges.com/i-65-south-traffic-shifts-to-lincoln-bridge/ The Ohio Ridge Bridges project web site. December 16, 2015. Kleber, John E. The Encyclopedia of Louisville. University Press of Kentucky, 2001. Print.